The Heike clan built this double vine bridges to access to their riding ground in Mt.Tsurugi (for training) about 800 years ago. 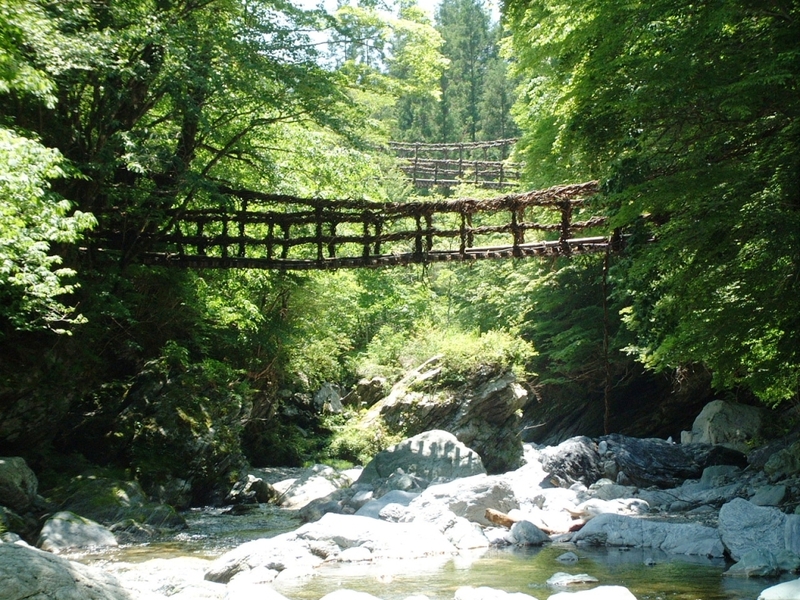 It is also the access bridge to the camping ground in Oku-Iya. Since double vine bridges are suspended in parallel, they are sometimes called “Male and Female Bridges”or “the Wedded Bridge” affectionately.